Our friendly team of specialist lawyers at Medical Solicitors are experienced in bringing successful stroke negligence claims. These claims are not uncommon. Our Director, Caroline Moore, has recovered very large sums of compensation in stroke cases for our clients. Stroke Compensation can be claimed where there has been delay in getting a patient to hospital, delay in diagnosis, inappropriate advice concerning care options, where there have been excessive delays in providing actual treatment, such as blood clot-busting drugs, or where there has been any substandard care that amounts to actual Medical Negligence. Do contact our friendly team of specialist lawyers at Medical Solicitors. We conduct most of our Clinical and Medical Negligence claims under ‘No Win, No Fee’ agreements, also known as Conditional Fee Agreements. So, our clients do not have to worry about how they can possibly afford to pay for stroke compensation claims. You have nothing to lose in speaking to us. Stroke is a sudden attack on the brain cutting off the oxygen supply and leading to numbness, weakness and paralysis. It is a major problem in the UK leading to about 11% of UK deaths and those who survive this acute event can end up disabled in some way. There is evidence that rapid medical treatment can lead to survival and even complete recovery. Delay on the other hand can be devastating. Therefore, the government has produced national guidelines for timescales of diagnosis and treatment in the most crucial first 48 hour period. When should you speak to a Medical Solicitor? If you have not received reasonable care after attending hospital for stroke. We are currently investigating a case where a lady who suffered from a mini-stroke but recovered, and was admitted for overnight observation. She suffered a major stroke overnight, but overnight staff told her to go back to sleep when she reported her symptoms, instead of urgently calling for medical review. If you have suffered a stroke whilst taking the contraceptive pill. Our Director recovered a very large 6 figure sum for a 41 year old lady, who should have been taken off the contraceptive pill when she was 36 years old. Had this happened then she would probably not have suffered a stroke aged 39, that left her with permanent disabilities. She was a former warehouse worker and was permanently unable to return to work. This is where the symptoms disappear within about 24 hours, sometimes called a mini-stroke (TIA). TIAs should still be treated as a medical emergency as they can be a sign that a major stroke is going to follow. What should happen straight away? If stroke is suspected the patient should be admitted directly from the community or the A & E department to a specialist acute stroke unit. There are now established specialists units around the UK. 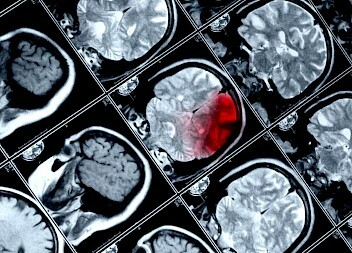 These units need to quickly investigate where the stroke is, how it has happened, and how serious it is, as some treatments are only effective within a number of hours. A patient needs blood pressure test, ECG, blood tests and a brain scan (either CT or MRI), a swallow test and later tests on the heart and blood vessels. Medication such as aspirin to thin the blood, drugs to lower blood pressure, fluids to prevent dehydration (especially if the patient cannot swallow), cholesterol lowering drugs to prevent fatty deposits in the blood stream that can cause strokes. Intravenous drugs to thin the blood (thrombolysis) can be offered to patients with major symptoms of sudden onset. This is for those aged between 18-80 within 3 hours after a stroke where CT scanning is done and shows there is no bleed on the brain (brain haemorrhage). There are numerous exclusions, for example, where the patient has had major surgery in the previous 2 weeks, or has diabetes and has already suffered a past stroke, or where there was a seizure upon onset of the stroke.